The firm will work to expand KEF's customer base beyond a small niche market of audiophiles and help it reach a younger audience. 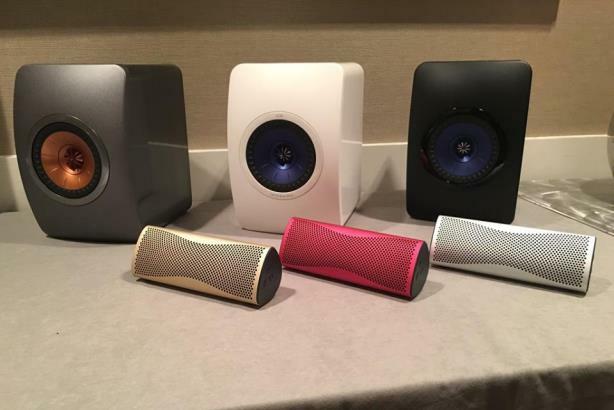 MARLBORO, NJ: Speaker and headphone manufacturer KEF has hired Coyne PR as its AOR. Coyne will support KEF America’s office, working on comms for launches and existing products, elevating the brand, and collaborating with online and social influencers to get its products in front of a general consumer audience. Katie Seifert, assistant VP, is leading account work by a team of six from the firm’s Parsippany, New Jersey, office. "KEF is a 55-year-old brand, and it’s very well known in a small niche market of audiophiles," said Stephanie Scola, marketing manager at KEF America. "It’s an old, affluent male demographic, and it’s a demographic that’s shrinking. We’re trying to present the brand to a younger affluent demographic." Coyne’s primary objective is to help The U.K.-based company establish itself among "affluent millennials," Scola said. She added that the company is trying to reposition itself as a luxury brand, rather than a consumer electronics brand. "KEF is so well known in the audio space, but not as well known in the general consumer audience," said Brian Murphy, VP at Coyne. "So much of what they do is these beautifully designed pieces. We’re going to tell the KEF story around different verticals than before, like design and fashion." KEF America, also located in New Jersey, reached out to Coyne without a formal RFP process. Scola declined to say what agency Coyne replaced. In 2013, KEF America began working with Waggener Edstrom with a similar goal of reaching new audiences. Coyne has worked with several other consumer tech clients, including Casio, IMAX, and JBL, another audio electronics company. "This is a consumer tech account, which is an area that we’re looking to grow, and bringing KEF on-board is putting a flag in the ground for us," Murphy said. The agency won the account in April and began working with KEF shortly thereafter.